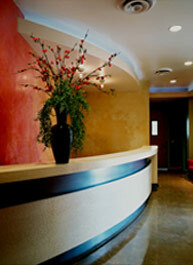 FEDERAL DESIGN GROUP (FDG) is a full service planning, architectural and interior design firm. The firm manages and executes projects throughout the world for private and governmental clients. FDG is a collaborative design studio that believes in design through creative and innovative ideas. FDG fosters an atmosphere conducive to freely expressing ideas, breaking known rules of design and freeing the design of its encumbrances. Although all projects are sensitive to the local culture in which they reside, their philosophies cross political and economic boundaries, thus securing their timeless presence. FDG approaches each project with the idea that design will evolve from factual, programmatic needs and specific site requirements, but goes far beyond expected answers, providing urban and spatial experiences that last forever. FDG’s services are organized to address the unique needs of it's clients. The studio brings over 95 years of collective experience in master planning, hospitality, entertainment, mixed-use, office, education, medical, residential, religious, retail, gaming and resort projects in the United States and overseas. FDG’s rich portfolio includes a variety of projects, of which select building designs are recorded through the prior experience of FDG’s principals. FDG’s client services involve feasibility studies, programming, program management, all layers of design, reviews of cost of construction at every step of the process and delivery of necessary project information in advance, all to assist the client in project implementation and securing and closing of financing. FDG partners with pre-selected international architectural firms to ensure a smooth process of obtaining local government approvals and construction permits. FDG’s team relies on global collaboration for delivering projects outside of the United States through its worldwide affiliations.